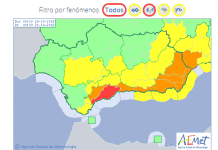 Home Andalucia Don’t blame ‘guiris’ for Valdevaqueros backlash! Don’t blame ‘guiris’ for Valdevaqueros backlash! 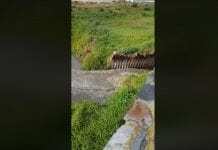 A HUGE row has blown up after a mayor apparently blamed foreigners and ‘ecologists’ for a backlash against a scheme to build a gigantic housing complex on a virgin beach. Tarifa’s mayor found himself in a giant storm after making the obscene remarks to a journalist. The row came after he was publicly grilled following a 15-minute speech about why the development, near stunning Valdevaqueros Beach, was positive for the town. He insisted that the 84,000 square metre scheme (see diagram below) to build 350 apartments and a 1,400 room hotel complex – passed by the town hall last week – would bring necessary investment and jobs to Tarifa. However, not everyone agreed with him, with local politicians and environmentalists insisting the project was a ‘barbarity’ and ‘completely unsustainable’. So concerned are the local IU and Equo party, led by former Greenpeace boss Juan Lopez de Uralde, that in just a few weeks, the petition has grown fast and an appeal has been made to Brussels. “This has only just started,” said Lopez de Uralde. “There is still much that can be done to avoid bricking over the unspoilt Valdevaqueros beach. “The economy of speculation has led us into the pit where we are now and these same recipes are not going to get us out of it. One local British businessman, who asked not to named for fear of repercussions from the town hall, told the Olive Press: “Local people have been anti-foreigner for a while. “And on this development? Well some of us are completely against and some are just concerned about its location. Irish expat Raphael Doyle, who lives in nearby Vejer, summed up the development well. Labelling it as ‘short-termism’, he said: “It is the human response to insecurity, greed and elections. He was also upset with the use of the word ‘guiri’ during a public speech. “The use of the word is unfortunate. We need our politicians to exercise thoughtfulness and to resist the temptation to slip into facile, populist prejudices. Meanwhile a spokesman for the Junta’s Environment department insisted that they were ‘monitoring the situation closely’. To sign the petition visit http://tinyurl.com/bp3pxgu and visit ‘Salvemos Valdevaqueros’ on Facebook. Well said, Lopez de Uralde “The economy of speculation has led us into the pit where we are now and these same recipes are not going to get us out of it”. In other words, Spains growing economic disaster has been caused exactly by excess development and in the end it will be the European taxpayer in general who will pay for it. Hotels and properties are empty all over Spain, absolutely no more are needed. If jobs need to be created, knock down some of the other, mostly empty, hotels which have been built in scenic areas. Remind me. What was his cut ? In my experience, the use of the word “guiri” is equivalent to using the “N” word about a black person. This man deserves a severe slap. Yes, of course he is a clown for making such inflamatory remarks. However, if, as has been suggested, a significant proportion of the list of signatories originates from extranjeros, the question should be asked by the (Olive) press; Why?. This would create more of a balanced and analytical report as opposed to exacerbating the rift. I don´t care about ´guiri´word he used.. only thing I care is why he needs to ruin really beautiful landscape as if there wouldn´t be enough empty houses around Costa del Sol and loads of hotels! As PM says, he gets a cut, thats why it will be built. Same as the monstrosity at Gato de Gabo. Spain is a breeding ground for the ‘get rich quick’ minority at the financial and ecological expense of the majority of Spaniards (and the rest of Europe). These people don’t care, they have the money to get away from the disasters they create. The Spansih let dogs defaecate all over their beaches.They pump their sewage frighteningly close to the shore.Hence the constant washing ashore of used ladies sanitary towels.They have blighted their entire coastline with hideous developments.But no, now they want to destroy the last remaining bit of unspoilt Spanish coastline with yet another carbuncle. As the Spanish sun sets into the sea,and the corrupt mayors and councillors get their collars felt,there will always be some prat who wants to blame the guiris for everything. And most frightning of all is,most of the Spanish will agree with him. I have lived here for over ten years now and think I understand the Spanish mentality. And it is centered on greed,corruption,and most of all,more greed. If you want to delude yourself into thinking the Spanish will accept us or even like us a little,go ahead. They put up with us when we were buying their (illegal)properties and pumping money into their shops and businesses,but now the golden goose has stopped laying golden eggs,the mask has slipped and the true nature has shown itself. Personally speaking,if every guiri was to sell up and move away from Spain,perhaps then the Spanish would realise what benefits we had brought to the country. But then again,not. Miguel Salgado*****. And if you had been part of the property merry go round and were witness to loads of foreigners getting off the Easynofrills waving wads of pasta around without a clue as to what they were buying into, I suppose you would be on stand by ready to offer free precautionary advice. Yeah right. You talk of greed, how many of these ‘oh so innocent’ buyers were looking to make ‘a pile’ out of their purchase??. It was that mentality which pumped up and eventually burst the bubble. Amparo: That’s right, blame the victims, not the thieves and conmen. If they were getting off “Easynofrills waving wads of pasta around without a clue what they were buying into” they must truly have been innocent buyers, not expecting to “make a pile”. Mostly they were tired, worn-out pensioners, or soon-to-be pensioners, wanting to spend their last years in the sun. But after purchase, they found they had innocently entered a hornets nest of spivs, crooks, as well as bent lawyers, estate agents, town halls, etc., etc. A story too well known for you not to have noticed, Amparo. Or perhaps you were one of the lucky ones, having made your pile? He makes little political sense … er… without the foreigners… his only asset…( besides what nature bequeathed-not his fault-) there is no tourism or work for Tarifeños… so what next? HEY great idea a sewage plant lots of work to build that! do you really think they are going to hand you all the building work… ooooof! No, antonio2, I haven’t made my ‘pile’, quite the contrary. And I see many of my friends, neighbours and families in the financial mire because of the slump in property values which has placed them in negative equity and left the banks with huge property devaluation within their accounts, hence the bailout request. And why??. Because the ‘loadsamoney’ brigade blasted the property market with high octane fuel and that, in turn provided the ideal opportunity for those so inclined to resort to unsavoury business practices. No insult intended Amparo, we just differ on causes. I could be accused of being in the ‘loadsamoney’ brigade, having bought our property at the height of price inflation in 2005. I had no choice, take it or leave it, and because I was aware of the rate of increase I would soon have been out of the market. As it happened, prices collapsed and if I wanted to sell now, would also be ‘in the mire’. I think ‘estate agents’, working hand-in-hand with builders and the local council also have a lot to answer for, not that they ever will. The agent I bought my property from used to cycle to work four years previously, but in 2005 owned a plush suite of offices with flats over, a house, posh car, etc., etc. Even his assistant had bought a house outright, by dubious means as it turned out later. No doubt many of the houses he sold were illegally built. The crisis will never be over whilst regional governments talk in terms of assessing every one of the tens of thousands of properties deemed ‘illegal’. That could take a hundred years, no doubt the aim of some department heads. Having lived in the south for over 10 years i can say that spanish southerners hate everybody else – just like most groups/tribes/clans/villages everywhere. Sadly i think in the south the only people willing to get up and do anything about anything are the ones who are trying to line their pockets with other peoples money as fast as possible. Just compare Tarifa now to a few years ago… Where have all those extra thousands of people come from? Its a quaint surf spot in the middle of nowhere. Its appeal is its unspoilt beaches. a fact i’m sure the developers and mayors understand. Heres a plan. I’m going to build a zillion golf courses all over the south of spain. they’ll have water for a year. Lots of badly built houses. negligible infrastructure. all of it illegal. you can be part of this for only Euros-all-that-you-have. STOP THE ROT. STOP THE BUILDING. I have only been to Tarifa twice, once to get the ferry to Morocco and of course on my return: It looks like a nice quiet Arab village more than a Spanish one. Your mayor seems to be typical of the type of idiot that wants to put his name on to something solid for posterity. Why doesn’t he try to attract industry and jobs instead. The building jobs will only last a few years then the situation will revert to no jobs. When Spain is finally concreted over the tourists will stop coming, then everybody will be out of work !. Exactly right MJP, an idiot wanting to be remembered and the only way is to destroy something, of which Spain has precious little left. Too many idiots, but not much scope for too many more. When they run out of scope, so will the tourists run and Spain will become a decrepit heap of run-down housing estates – empty.